There are a number of talented artists and professionals that have joined the Brother Thomas project over the last two years and more to come as we gain funding. Their contribution promises a level of excellence for The Temptation of Brother Thomas that previously I could have only imagined. The opportunity to work in such company has been and continues to be a tremendous pleasure. Keep an eye on this page as the list continues to grow. Steve is the writer and creator of The Temptation of Brother Thomas. Much of the themes born out in the film are drawn from Steve’s experiences growing up as an artist in a religious community. Originally the story and central character of Br. Thomas were conceived during his years working at Big Idea Productions on the “Veggietales” series. In 2011 Steve received a research grant from the Lilly Foundation through Huntington University to further develop his story and to begin planning a model for producing it into a short film. Steve originally studied animation, painting and drawing at the School of the Museum of Fine Art in Boston, MA. He has worked commercially as a stop-motion animator, model maker and layout artist. He was the 3D layout supervisor on the successful “Veggietales” video series and the feature film “Jonah”. After earning a Masters of Fine Arts degree at the Art Institute of Boston/Lesley, Steve helped to found and direct the Digital Media Arts program at Huntington University in Indiana. In fall 2017 Steve Joined the Department of Art and Design at Central Michigan University to start their new Animation program. Steve lives in Midland, MI with his wife Tami and son Kyle. You can see more of his work on his JSL Studio Vimeo page. 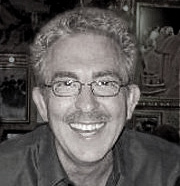 Michael has worked in animation for over twenty-five years with the most notable studios in the entertainment industry. Even without knowing his name, most of us are already fans of the worlds Michael has helped to create. From as far back as “Masters of the Universe”, to “Chip ‘n Dale Adventures“, right up through Disney’s “Treasure Planet”. Just the thought of Michael designing a Cathedral for the Br. Thomas film makes my head spin. Michael’s vision for “The Temptation of Brother Thomas” doesn’t end with the Cathedral. As Art Director and Design Lead, Michael will help to shape the look of Thomas’ entire world, from pastoral landscapes, to the impromptu studio where Thomas records his vision by the moonlight filtering down through the tree canopies. I had the pleasure of getting to know Michael as we worked on “Jonah; a Veggietales Movie” together. At the time, his addition to Big Idea Productions helped to raise our design bar across the studio. Not only is Michael one of the most talented designers working in the film industry, he is a devoted mentor to young artists and a close personal friend. You can see more of Michael’s amazing designs at his web sight The Art of Michael Spooner. Tom is a veteran stop-motion animator excelling in high-level character performance. 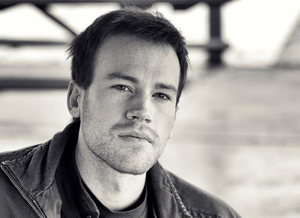 Tom has worked on the likes of “Wallace and Gromit”, “Chicken Run”, and “Coraline” (just to mention a few). Tom has also just published his first book “Frame by Frame Stop Motion” for Focal Press which is proving to be a definitive guide on the art of stop-frame animation. Tom teaches in the School of Film and Animation at the Rochester Institute of Technology and continues to direct commercial and personal projects during his summers. Tom is a close friend and over the past two years has become an indispensable adviser to the project. 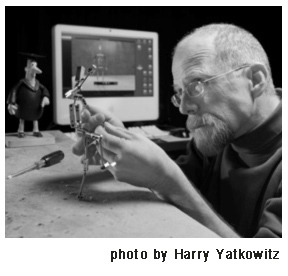 He brings a wealth of expertise as to the art, craft and business of stop-motion animation. Once in production Tom is slated to be the Director of Animation on the Brother Thomas project. He’ll set the tone for character animation making sure every animated performance delivers in every scene of the film. Jeff Jacoby has recently signed on to the Brother Thomas project. 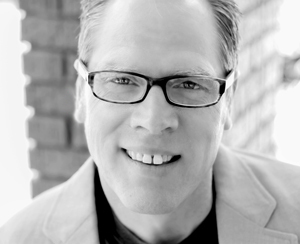 Jeff brings a long list of talents and a broad range of professional experience with him. Jeff actively practices sound art, sound design, writing, directing and radio production. For his work in radio, sound, and film, Jeff has received an Emmy, two Emmy nominations, two Benjamin Franklin’s and a host of other awards. His work has been heard on PBS, NPR, and commercial venues, as well as in festivals and art galleries across the country. Jeff is a friend and collaborator from my grad school days at the Art Institute of Boston where he was the Sound Artist in the Visual Arts program. Having a fellow artist in the program solely dedicated to the design and execution of audio was an education in itself. Jeff’s work consisted of guerrilla sound installations (I still expect to hear crickets chirping when I step into an elevator), richly layered sonic landscapes and outstanding sound design on a number of film projects, including a film I animated called Linedrawing. Two of his current projects include Into Sonic Space and The Traveling Radio Show. Jeff is an Associate Professor of Audio & Radio at San Francisco State University, and has served on the faculty and boards of Quinnipiac University, Real Art Ways, The Media Arts Center, and the National Radio Project. You can learn more about Jeff’s fascinating career at jeffjacoby.net. When I was starting out in stop-motion animation, Rich hired me for my first model-making job. 20 years later Rich’s expertise in dimensional model making and his exquisite attention to detail have made him the most sought after Model Maker in Chicago. The Big Ben image above is of a 3 ½ foot physical model that Rich fabricated out of etched metal, tooled plastic and cast urethane. Reconnecting with Rich on this project has been a great pleasure. The realization that Rich will be devoting his artistry towards building Br. Thomas a cathedral is still sinking in. “I consider what I do to be true 3 dimensional illustration; the kind that you can touch and not only see on a computer monitor. I’ve been creating custom models and props for the advertising industry for over 20 years now. I began in 1985 by taking everything in my portfolio (sculpture, illustration, custom signage) and calling numerous photographers. I’ve worked on print and video spots for Absolut Vodka, Disney, Quaker Oats, Oreo, Revlon, Nestle, McDonald’s, Campbell’s Soup, Kelloggs. . . to name just a few. What I love about my job is that almost every project is a unique problem that needs a fun, creative, visual and physical solution. I am basically a toymaker and I get to play for a living. Watching a client smile when I deliver something is also a great perk. 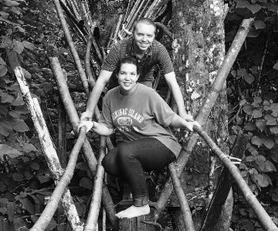 Both Rachel and Colin are graduates of Huntington University. Colin graduated from Digital Media Arts program in 2010 and the two of them have been working in various aspects of media production, promotion, and all things social media ever since. 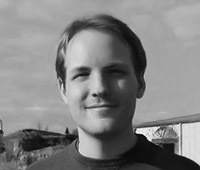 Colin specializes in design and motion graphics. He designed Br. Thomas’ new web-site and will focus mainly on promotional graphics for our Kickstarter campaign. Rachel is taking some time away from her portrait photography to help us get the word out, and to make sure that Colin and I are meeting our dead lines. Aaron has been helping to design and execute the animated stained glass that appears regularly in the film. Half of the characters that populate Br. Thomas’ world are incased in the ancient glass that adorns the Scriptorium. Aaron has played an essential part in helping me figure out just exactly what stained glass looks like when it comes to life. Jeff Morice is a talented young Animator/Artist who recently graduated with a Bachelor of Fine Arts degree from Kansas City Art Institute in 2013. While at the Art Institute, Jeff specialized in a broad variety of animation techniques including hand drawn/digital 2D, 3D Computer Graphics (CG) and motion graphics. As you can see from his work on the dragonfly, Jeff pays incredible attention to detail and has an eye for subtle motion and beauty. All that and he’s REALLY good with technology. All of this is on display in his animation reel and his beautifully animated short The Prince of Margo. Keep an eye out for more posts on Jeff’s work as he’s been animating the dragonfly!